PeoplePulse helps WISDOM systematically identify opportunities to improve customer service excellence & experience throughout their Build journey. 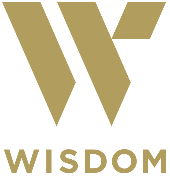 WISDOM is an award winning professional Builder whose Mission is “to create exceptional customer experiences whilst building beautiful homes, pools & landscaping lifestyle solutions that exceed expectations in design, quality and value for money”. The company has proudly built thousands of new homes for families across New South Wales, with each home built reflecting the company’s commitment to efficiency, quality and customer satisfaction. WISDOM is now backed by Japan’s Sumitomo Forestry Group, a global leader building over 16,000 homes annually. WISDOM approached PeoplePulse because they recognised the need to collect and measure customer feedback at each of the key stages of their customer lifecycle (Contract Signing, Site Start, Settlement and Maintenance). The ultimate aim was to track if the NPS varied between each stage so that WISDOM could highlight opportunities to continuously and systematically improve their customer satisfaction. After determining that its preferred survey method was Net Promoter Score, WISDOM sought quotes and applications from multiple providers. WISDOM was determined to use a third party for its NPS surveys, rather than an inhouse solution, to ensure the surveys and data collected had independence. The decision to select PeoplePulse was based on the simplicity of the desktop and mobile solutions, the reporting capability, and the ongoing support available. We set up a multi-phased customer feedback NPS survey that was quick and easy for customers to complete (for more information the NPS methodology please refer to this article). The survey is two simple questions: the first question asks how likely a customer is to ‘recommend their services to a friend or colleague,’ while the second question asks for a free-text explanation of their first answer. to have a customer survey that is easy to read and complete on both mobiles and desktop computers. sophisticated features such as branching (skip logic) to guide respondents through the survey so that they only see questions that are relevant to them. if a ‘bad score’ is received, trigger a follow-up question asking for additional comments so that the collected data can be used to drive service improvements. ability to report NPS across the Group, and by Department/Team and Individual. WISDOM first implemented NPS surveys in July 2017. All survey responses (Promoters, Passives & Detractors) are emailed directly to the senior Management team. All Detractor survey responses receive a follow up phone call from WISDOM’s Customer Relationship Specialist (CRS) to discuss and clarify the feedback provided, and to resolve any outstanding issues. The Heads of Sales, Operations and Construction, plus WISDOM’s Customer Service Manager, CSR and their General Manager, meet every Friday morning to review the survey feedback for that week and to identify any opportunities to improve their systems and processes. Corrective actions arising from this review can include a communication to staff, a process change, additional training, and in some cases, the formation of a Project Team to develop an improved solution. Implemented a Service Recovery process to quickly and effectively address the concerns of aggrieved customers. Introduced internal Escalation Process to ensure customer inquiries are responded to within 24 hours. Most importantly, WISDOM completely re-engineered its pre-Site processes (Deposit to Site Start) to improve customer experience, engagement and conversion. There is a significant and positive difference in NPS results for clients coming through these newer processes versus those that went through the previous pre-site processes. As a next step for this project, WISDOM is going to complete DISC Profile training for all customer-facing staff to give them better skills in engaging with different customers. In addition, NPS is being introduced onto Department Leader Boards to make team and individual scores more transparent. Customer Claim Satisfaction scores rise consistently year-on-year through the use of PeoplePulse surveying and reporting tools, helping Guild Insurance to create the ultimate personalised claims service. Established in 1963, Guild Insurance has grown from a small business focused purely on the pharmacy industry, into a multi-faceted business dedicated to protecting Australian professionals. Today, Guild Insurance offers its customers a variety of commercial and personal insurance products and legal support, with over 140 industry partnerships and 80,000 customers nationally. PeoplePulse began working with Guild Insurance in 2013 to build their current Post Claims Customer Survey. It is now two years since the survey was launched online to their customers and as a result of the feedback, they have implemented changes to their claims process that have seen consistent year-on-year growth in customer satisfaction. Our survey has enabled us to make our claims process more personalised than ever. We have been able to move our focus away from the process and make it more about the customer. Being a direct insurer, Guild Insurance’s customers and the experience they have when making a claim are central to the success of their business. Before they engaged PeoplePulse in 2013 they were running their own in-house survey process and mailing a hard copy Post Claims Survey to their customers. This meant they relied on customers returning the surveys via post and then manually collated the data for reporting. It was a very manual and time consuming task. Whilst the existing survey allowed us to gather insights about customer experiences across different state locations, we could not easily filter down or compare the data by different customer groups or types of claims and view the results for each step in the claim process. Because of this limitation in the reporting, we could not confidently identify what we did well and what we needed to improve on. To create more specific questions to gain a greater insight into the type of service their customers expect across their three major product lines. To have an accurate tool to analyse their claims performance at each customer touch point and enable them to move from “we think” to “we know” what their customers see as our areas of improvement. A reporting capability that quickly and easily breaks down the survey results in different ways and also shows trends over time. To use the feedback to implement changes to enhance their claims service and be able to monitor their success through the results. The assigned PeoplePulse Project Manager worked with Guild Insurance to develop their survey questions and created a slightly different survey for each major product line. Each survey contains some generic questions (used across all three surveys) and some questions specific to the product line itself. The generic questions are ‘tagged’ to become part of a special PeoplePulse generated ‘Aggregate Report’, meaning the survey results for each of these generic questions can be combined across all three products lines to give an overall real time result, or the results of each product line can be compared against each other side-by-side. Each product line has its own tailored survey invitation which is further personalised with the customer’s claim details, so the customer knows exactly what claim the survey was in relation to. When the surveys are sent out via email, the invites are ‘pre-loaded’ with customer data (such as Claims Type, Customer Group, Product Class etc.). This data is used to ‘segment and compare’ the results of the survey in various different ways via the self-service real time reporting tools available within PeoplePulse. In addition, PeoplePulse suggested that Guild ask their customers at the end of the survey if they would like to have their survey responses followed up a Claims Representative. If the customers selects ‘yes’ then a full survey summary (including the customer’s preferred contact details) is automatically emailed to both the Claims Operations Manager and the Claims Service Team, so they can quickly and easily call the customer and follow up their survey responses. The Claims Team can quickly and easily extract data straight from PeoplePulse and share internally with various internal teams o a regular basis. Key themes can be easily identified which enables Guild to quickly implement improvement ideas. The Claims Team are interacting personally with customers that have completed the survey where results are both high or low, or when they have specifically requested a call back. This ensures any issues can be quickly addressed. Our customers love knowing that we have actually read their survey and we are listening to them. PeoplePulse helps Catholic Healthcare achieve a record completion rate for their Staff Engagement Survey. Catholic Healthcare offers a diverse range of services through residential aged care, healthcare and community services programs across NSW and south-east Queensland. The organisation has a head count of nearly 4000 employees. Their HR team wanted to run a staff engagement survey to understand their employees’ beliefs about the organisation across a range of topics. They also wanted to set some baseline results against which they planned to develop HR strategies to further increase staff engagement levels. This was not the first time the HR Team had run a staff engagement survey but they felt that previous surveys were too lengthy and the reporting was too complicated. Their primary objectives for this survey was to keep it simple, make it meaningful and ensure the outcomes actionable. Being a fairly small HR Team, they also wanted a solution that was not onerous to execute from a time and resource perspective. PeoplePulse worked with Catholic Healthcare to develop customised content for the survey which resulted in 25 key questions across 6 main themes. A focus was made on ensuring that every question in the survey had a clear purpose and could be easily understood and answered by employees at all levels. To help build trust and credibility, PeoplePulse suggested that Catholic Healthcare co-brand with the PeoplePulse logo and invite content to emphasise that the survey was being run by an independent, expert 3rd party. PeoplePulse advised the use of ballot boxes at each Catholic Healthcare location and the appointment of a local ‘champion’ to empty the ballot box and send all the paper surveys to PeoplePulse once the survey had closed. PeoplePulse organised the data entry and secure document destruction of all the paper surveys once the project had come to an end. PeoplePulse applied an anonymity setting to the survey reporting which prevented the HR Team from being able to view the results from any area of the organisation where less than a fixed number of completed surveys had been returned. This ensured that anonymity was always maintained. The survey achieved a record 66% completion rate against a 49% and 54% completion rate in previous years. Overall, Catholic Healthcare achieved some high scores for many of the key survey themes, which positively reinforced to staff and management that employee engagement initiatives were on the right track. Where weaknesses were identified it validated with hard data the potential benefit of some of the planned workforce strategies the organisation had in mind. The survey results were communicated back to staff by providing each manager (where enough surveys had been completed to ensure anonymity) a simple feedback report with just their results for each survey question. Staff meetings were then arranged by the manager’s to discuss and review actions to be taken. The feedback reports were also put up on staff notice boards for all employees to see and reinforce the benefits of participating. Given the success of the staff engagement survey, Catholic Healthcare are now working with PeoplePulse to develop an equally simple Employee Exit Survey & Employee Onboarding Survey, which will align with their staff engagement survey questions to provide even more understanding and evidence to support their employee attraction and retention strategies. built-in branding for the software tool (including the phrase ‘Powered by..’) limited its use – and while not an obstacle for internal surveys, could not be used in professional external communication. The software employed was effectively a ‘no frills’ survey tool that proved perfectly acceptable and easy to use for informal and simple survey work, but could not meet the demands of the more complex and professional research projects SEEK was developing. SEEK required a solution that offered flexibility, the option to easily tailor and duplicate surveys and individual questions, and the ability to control branding to deliver a professional image in both internal and external research efforts. Product Flexibility – PeoplePulse is a comprehensive online survey tool that addresses the problems that SEEK were facing with the US-based tool. As a locally developed and hosted tool, it offers rich survey creation and reporting functionality, and this flexibility gave PeoplePulse a clear advantage over other similar online survey products. Approach to new product development – From the outset, Quinntessential made it clear that they were happy to work with SEEK to customise the tool for SEEK’s unique needs. At their own expense, Quinntessential added new survey branching and skip logic functionality, added the ability to conduct ranking questions, and also added a new ‘cross tab’ report to the system to allow reporting and data analysis to be conducted online. These were all features that significantly enhanced the value of the tool for SEEK. We felt that from the contract negotiation stage through to final product training and product-related queries, Quinntessential showed a genuine willingness to work with SEEK to deliver the best possible solution to meet our needs. They made us feel that no request, however small, was too much trouble. SEEK is a commercially focused, research driven organisation, and after we had made the practical decision to adopt the PeoplePulse tool following our review of the market, the transition was undoubtedly made even easier by the service and support our research team received. Based on our experiences to date, I have no hesitation in recommending Quinntessential and PeoplePulse to any organisation looking to gather feedback using a user-friendly, feature-rich web-based survey tool. More than 10 years on and SEEK Limited are still active users of the PeoplePulse tool, testiment to the quality of the solution and the support they have received over many years.